EOS is available on iTunes & Amazon! Check out Grammy accepted Florence Martus Trilogy. Click on the links below to purchase songs. All Proceeds will go to Adopt -a- Soldier Platoon! Featuring a whopping eight-piece band, its three sizzling female singers put this group way over the top in the best of ways. The band features lead guitarist Joe “Ciid” Birardi, rhythm guitarist Bill Tuohy as well as bassist Phil Beehler. Add third guitarist Kevin Losardo and drummer Brian Picardi, and you have a full stage of rock and roll veterans that put on an unstoppable show. Birardi’s “big” idea stemmed from watching the same old delivery in club after club where the music was governed by the stereotypical four-piece format. The EOS frontline is impressive indeed. 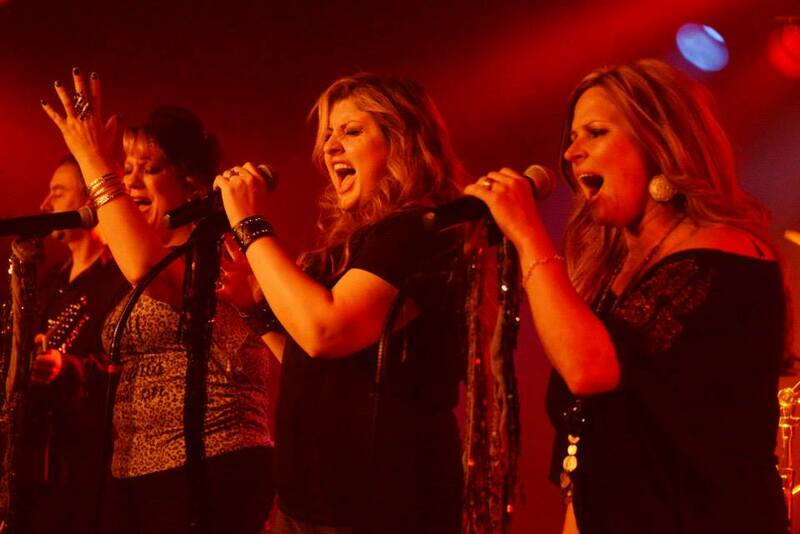 Made up of Danielle Zelenak-Birardi, Dawn Szollar, and Patti Ogletree, the three dynamic beauties spin rock and roll harmony between shifting lead vocal duties while the band holds it down behind them and it’s never a dull moment. EOS doesn’t do anything small and their latest recording is in full swing over at East Coast productions. Featuring interesting and fresh music of several Birardi penned songs such as the new hits “Jaded,” “Something To Blame,” “Stronger,” and their new “Florence Martus Trilogy”” These hits can be heard on iTunes, Amazon, Spotify, iHeartRadio, Slacker, Rdio and their debut CD. EOS has worked closely with several New Jersey charities including: Adopt-a-Soldier Platoon, The NJ Elks Army of Hope, Operation Jersey Cares, and The Lt. Dennis W. Zilinski II Foundation. Thanks to you, we have been able to raise nearly $20K for these causes to date. Please click on the Adopt-a-Soldier icon below to donate or get information on how you can help support our troops. Thank you for your support! All proceeds from our downloaded songs will be donated to our troops via Adopt-a-Soldier Platoon. Each song is just 99 cents! Please help us help those who put their lives on the line for us!